VitaJuwel ViA Vision CrystalEdition glass drinking bottle noble shungite crystal. 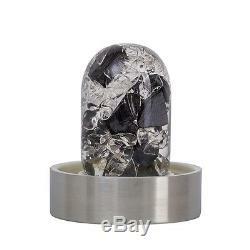 (noble shungite - rock crystal). In order to carry a positive action we must develop here a positive vision. Jet black Shungite is truly a visionary stone. 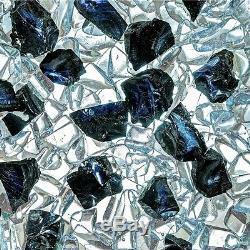 Like diamond, it is a form of elemental carbon. It is mined in the remote Russian region of Karelia, where Czar Peter already made use of Shungite's purifying properties. Discover water completely anew with this gem from another world and its fascinating crystal image, taken by taken by the HadoLife lab. Share our vision to make gemwater an enlightening experience for everybody. Hygienic, economical, perfectly shaped, distinguished. Gemstones don't have to be put directly into the water. The vial keeps your water safe from possible impurities of contaminated gemstones and from splinters. No more time-consuming cleansing of the gemstones. Lifelong pleasure by precious gemstones. Create your own fresh and pure gemstone water! Rediscover one of nature's most valuable secrets with unique VitaJuwel gemstone vials An ancient way to energize water with the healing power of hand-picked gemstones. Patented worldwide, designed in Germany, manufactured in the EU using lead-free bohemian glass and fair-traded, conflict-free gemstones. The use of gems to vitalize water is a traditional art which was already known to the ancient Greek and wise men and women during medieval times. Recently, this old tradition has been rediscovered. Gemstones have the ability to store energy. That effect makes quartz watches work, for example. Each type of gem, by nature, has its unique kind of energetic information. The gems inside the VitaJuwel vials transfer their information to the water that surrounds the vial and, thus, improve the waters' vitalization level. An effect which regular water drinkers might even be able to taste! Everybody who already prepares and enjoys VitaJuwel gemwater would like to have it available at anytime. 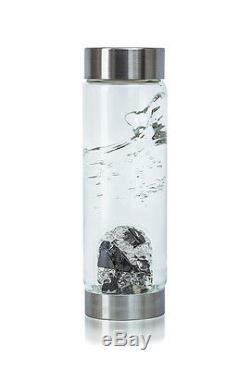 VitaJuwel gemstone vials are the perfect solution to prepare gemwater at home in a decanter. With VitaJuwel ViA, from now on you're free to enjoy gemwater wherever and whenever you like! Have you ever seen a bottle with two openings? Okay, then it's about time to experience VitaJuwel ViA as an impressive example for crossing borders! VitaJuwel ViA stands out from regular returnable bottles with its unique design. Its functionality is state of the art. VitaJuwel ViA consists - as usual for VitaJuwel products - of lead-free glass and holds a generous 500ml. VitaJuwel ViA sets a new benchmark in drinking water on-the-go. The two openings make cleaning VitaJuwel ViA easy and hygienic. Did you also make the experience of having bought a great-looking glass bottle and noticing the difficulties in cleaning them thoroughly and hygienically with a brush? With our VitaJuwel ViA we found a solution for that problem: Simply twist off both the lid and the gemstone pod and cleaning the glass part becomes as easy as 1-2-3. Change your gemstone mixture in seconds with the innovative gemstone pod. VitaJuwel ViA already comes with one interchangeable pod. Discover a fascinating variety of other available mixtures. Have a "Momentum" ready for your way to work and prepare yourself "Allure" after dinner.. 89 billion liters (23.5 billion gallons) of water are filled in plastic bottles annually. 1,500 plastic bottles per second! Are used in the Unites States. 80 % of these bottles are not recycled. These plastic bottles are made from petroleum. More and more landscapes in the world become torn up, devastated and polluted by drilling and fracking. Transporting bottled water over oceans and continents by planes, ships, trains and trucks consumes vast amounts of energy and burdens our environment. Start with a small contribution to save the environment and use refillable glass bottles like our VitaJuwel ViA. Order before 11am for same day dispatch. Does not apply to all products. We will advise you once the order is placed. This product has no reviews yet, however see what our buyers say about our other products.. Your item will be professionally & carefully packed and despatched in a timely manner. Sign up to our mailing list to hear about our great offers. The item "VitaJuwel ViA Vision CrystalEdition glass drinking bottle noble shungite crystal" is in sale since Friday, October 13, 2017. This item is in the category "Home & Garden\Home Décor\Other Home Décor". 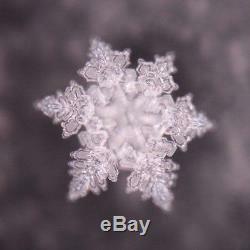 The seller is "liminaires" and is located in London. This item can be shipped worldwide.